Attend bi-annual conferences to learn about the latest technologies and developments in and around Maryland! Memberships are for individuals only, not entire organizations. Annual dues for full members are $50 per year and $100 per year for associate members. Retired members dues are $5 per year. To apply for membership, download the form from the below link. The preferred method for application submission is via e-mail attachment but handwritten and mailed applications are acceptable, too. Credit card payment is also accepted online at our Checkout page. 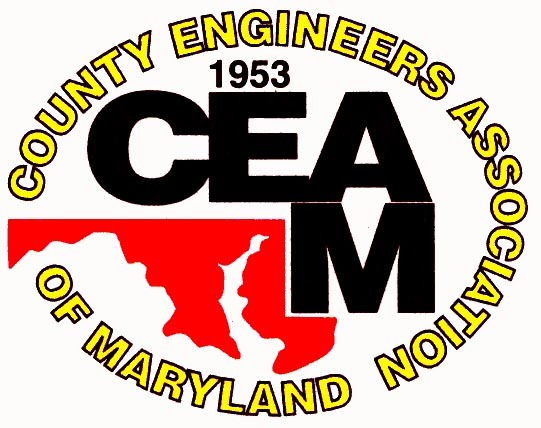 CEAM accepts payment via VISA, MasterCard, or by check payable to County Engineers Association of Maryland. Membership questions may be directed to Dan DeWitt, CEAM Administrator.